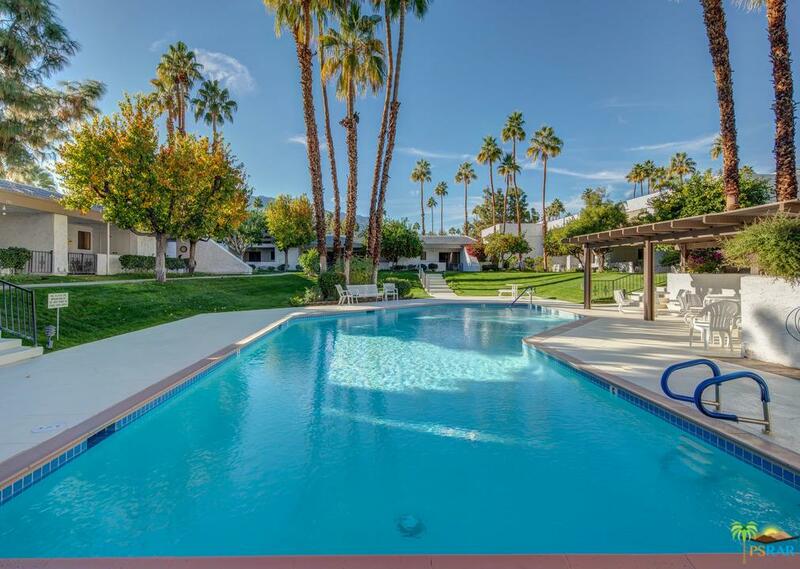 Palm Canyon Villas is comprised of 224 one and two bedroom condominiums in 4 separate phases on 13 acres of prime property, nestled near the hills surrounding Palm Springs and away from the wind. Beautifully manicured grounds feature 4 large swimming pools, 4 spas, 4 professionally maintained tennis courts and more than 300 mature palm trees. 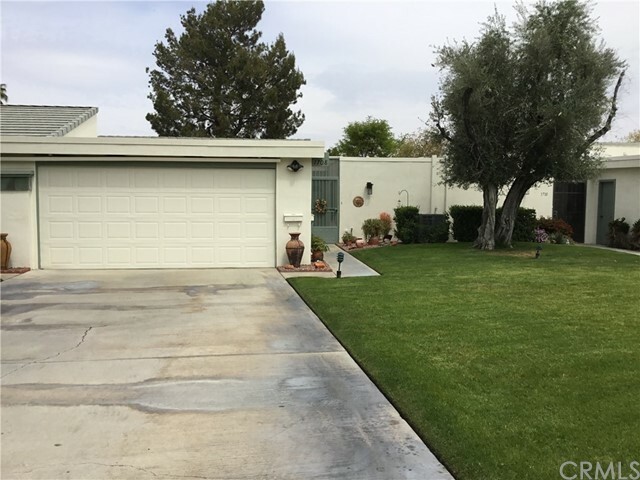 Immediately adjacent to the 36 hole municipal golf complex of Tahquitz Canyon designed by Arnold Palmer and the Traditional Course, both owned and maintained by the City of Palm Springs and at reasonable green fees. 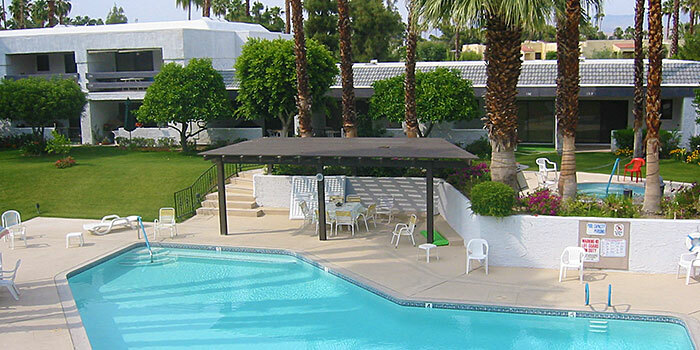 5 day minimum vacation rental is allowed at the Palm Canyon Villas.